Chateau Guiraud, extending over 100 hectares, takes its name from the Bordeaux negociant Pierre Guiraud who purchased the estate in 1766. The Chateau has a long reputation for producing outstanding wines, and was included in the Classification of 1855. This classified growth of Sauternes relies on two-thirds Semillon and one-third Sauvignon Blanc, a higher proportion of the latter than usual in the appellation. On their soils, Sauvignon contributes complex citrus and flower aromas. The vines are 35 to 40 years) of age, and the grapes are picked by hand in multiple passes to obtain the desired degree of noble rot. 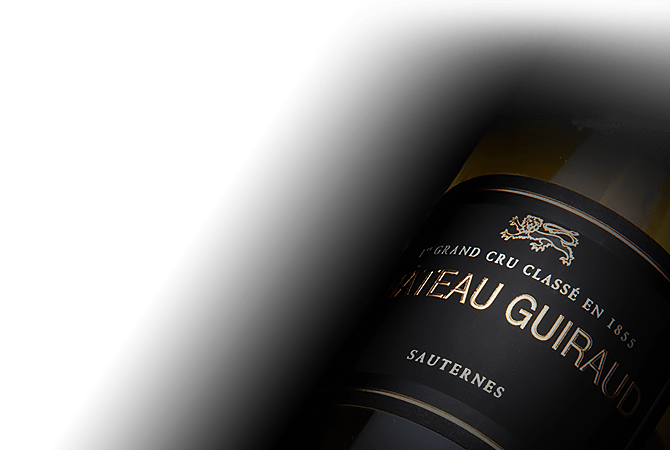 Chateau Guiraud takes a natural approach to viticulture, nourishing the vineyard to create a healthy eco-system and is currently the only First Growth to be officially certified for organic viticulture. Chateau Guiraud wines are known for being rich and structured, expressing notes of honey, spices and fruit. A dance between acidity and sweetness frame the palate, a delicious sweet wine in perfect balance.